It is common knowledge that companies that do not take auditing records seriously are positioning themselves for ominous compliance implications. Truly, servicing clients and managing employees can be tasking, yet, good records management should not be taken granted. 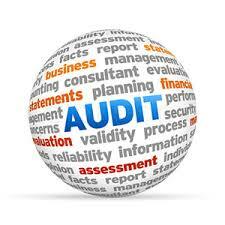 With Audit Management Software, organizations are guaranteed of eliminating clumsy paper works. Audit Management Software is a key requirement for 21st century auditors and with digital record solutions, an auditing process will be a walk in the park-stress free. An Audit Management Software converts your company’s documents into easily accessible information. PML Advisory’s Laser Audit Reporting System helps auditors to centrally manage audit planning, audit programs, work papers and fieldwork and also coordinate information among auditors, auditees and management at all levels of organization. Indian based accounting solution company, E-trends Technologies, which has a wide repertoire in developing web-based internal audit management, risk management and compliance solutions that cater for internal audit, risk management and compliance needs of organization are in partnership with PML Advisory to provide seamless solutions that will make accountability and planning a reality in Nigerian organizations. Aligned with the Institute of Internal Auditors (IIA) standards, this web based solution enables an auditor to plan annual audits, schedule it, view audit programs, create work papers and findings and track ongoing observations. Olushola Omotuyi is an Associate Director and Head, Abuja office.She is responsible for supporting clients in implementing International Financial Reporting Standards, Accounting solutions, auditing, and taxation. She trained and qualified at KPMG, Nigeria. She holds a bachelor of science in Accounting from University of Lagos, Nigeria and also an Associate Member of the Institute of Chartered Accountants of Nigeria. Look At Some of The Best TGIF designs…. Do Good Accountants Always Do Good Audit? TIPS TO HELP SMALL BUSINESS OWNERS IN 2018. 13 Failure to file TP declaration form within 18 months after the date of incorporation or 6 months after the end of the accounting year, whichever is earlier. Failure to file updated TP declaration form or provide notification about director of the connected person within 6 months after the end of the accounting year in which the event occurred. Upon default, shall be liable to pay N10,000,000 for the first month of default, and N10,000 for every day in which the failure continues. Upon default, shall be liable to pay N25,000 for every day in which the failure continues. New business incorporated with group structure or arrangement with connected person whether resident in Nigeria or elsewhere are required to make declaration. Existing business are required to make an updated declaration upon merger or sale or acquisition up to 20% or with changes in the structure, arrangement or circumstances that influences connected or not connected to the entity. Also, where there is an appointment or retirement of a director of the connected person. 14 Failure to file TP disclosure form (Non-disclosure of TP transactions) within 6 months after the end of each year or 18 months after the date of incorporation, whichever is earlier. Incorrect disclosure of controlled transactions. Upon default, shall be liable to pay the higher of: N10,000,000 or 1% of the value of the controlled transaction not disclosed, for the first month of default, and N10,000 for every day in which the failure continues. Upon default, shall be liable to pay the higher of: N10,000,000 or 1% of the value of the controlled transactions incorrectly disclosed. Connected person shall without notice or demand make annual disclosure (voluntary disclosure) of transactions for each year of assessment as may be prescribed by the FIRS from time to time. Connected persons are expected to disclose their controlled transaction to reflect the arm’s length principle. 16 Failure to file TP document within 21 days of receiving a request (Notice) from the Service. Shall be liable to pay the higher of: N10,000,000 or 1% of the total value of all controlled transactions, and N10,000 for every day in which the failure continues. Connected person are required to prepare and maintain master file and local file in the course of controlled transaction as part of their TP documentation as specified in the schedule to the Regulations. 17 Failure to furnish information or document within the required time specified in a notice. Shall be liable to pay 1% of the value of each controlled transactions for which the information or document was requested, in addition to N10,000 for each day in which the failure continues It is pertinent to note that connected person with the value of controlled transactions of less than N300,000,000 may choose not to maintain TP documentation as specified in Regulation 16. However, upon request, they must prepare and file TP documentation within the 90 days of receipt of such notice. Where the connected persons partake in transfer mispricing issues (i.e. TP manipulation) regarding controlled transactions, the FIRS may notwithstanding the aforesaid administrative penalty, carry out TP adjustment on such controlled transaction based on transaction by transaction basis to reflect the arm’s length principle. Hence, penalty and interest may apply on the resultant adjusted amount. It is imperative to note that, the above TP offenses stipulated under Regulation 13, 14, 16 and 17 are subject to the provision of Regulation 15 of the Regulations which state that the connected person may apply in writing for extension of period for making declarations or disclosure within which to comply with the provisions of regulation provided that, the application must have being submitted before the expiration of the time stipulated and the applicant must shows good cause for its inability to comply with the stipulated submission dates. Where the taxable person (applicant) fails to meet with the extended submission date (agreed date), the administrative penalty shall apply upon default as if no extension of period was granted. Conclusion The revised Regulations bring to light those grail areas in the old Regulation, related entities are expected to perform TP evaluation to enable them determine the non-compliance area of emphasis to their business while those with low TP compliance should update their compliance status as the cost may grossly impact their business. We belief, the FIRS will issue circular to this effect to provide guideline on the implementation of the Regulations. For further information or clarification on the foregoing, please contact: Christopher Ugwunwa ([email protected]) or Abiola Fajimi ([email protected]) with the subject: Implication of Non-Compliance under the Revised TP Regulation.